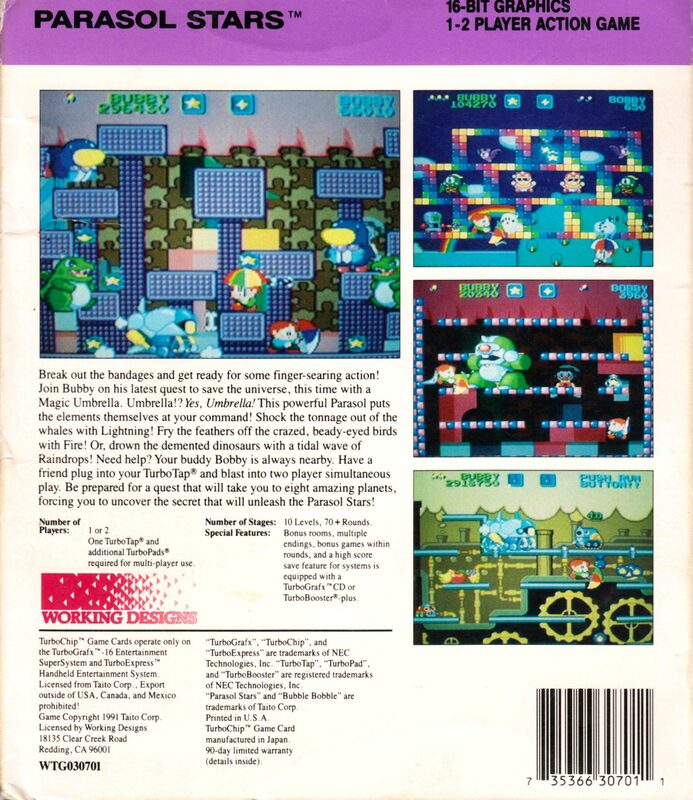 Third in the Bubble Bobble series created specifically for the PC Engine, you must clear each level of enemies by using your umbrella to throw them, or catch water or lightning droplets and toss them across the screen. 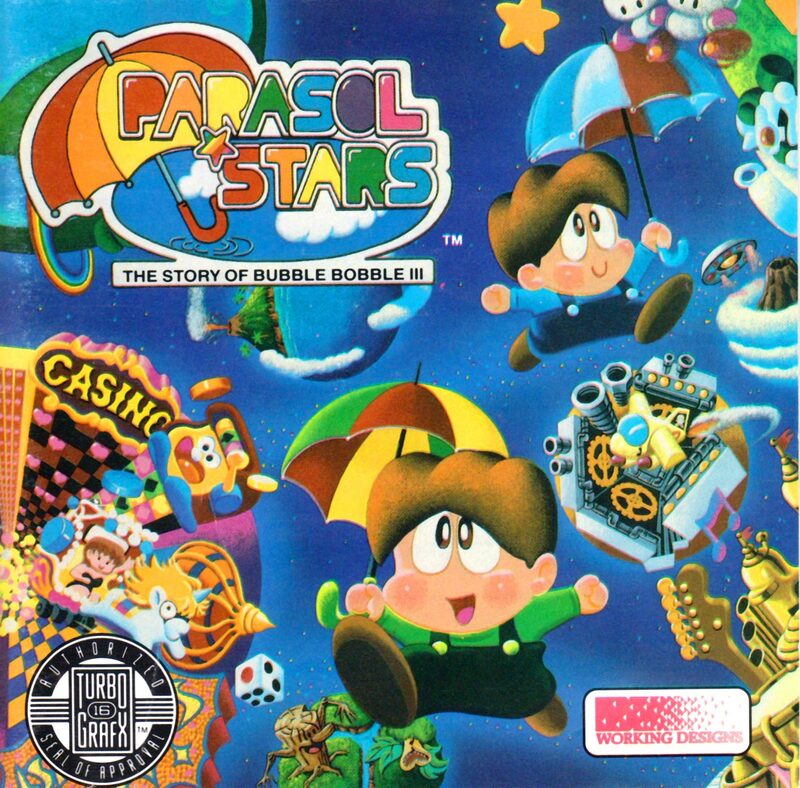 Parasol Stars, the successor to the excellent Rainbow Islands and Bubble Bobble is an action platformer that goes back to its single screen roots. It has an excellent puzzle element, thanks to clever level design, and it features bold colours and big, well designed sprites. To me, these titles were Taito at their peak, somehow making successful arcade games that translated perfectly to home systems. 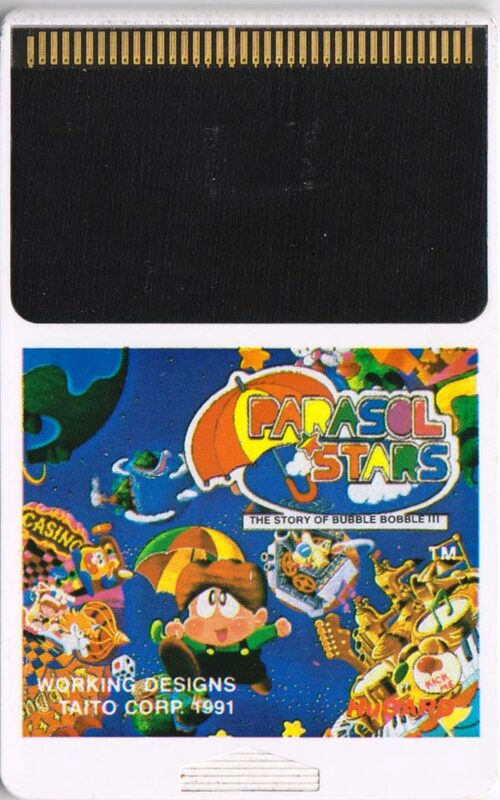 And I think the PC Engine was the perfect system to port them to. 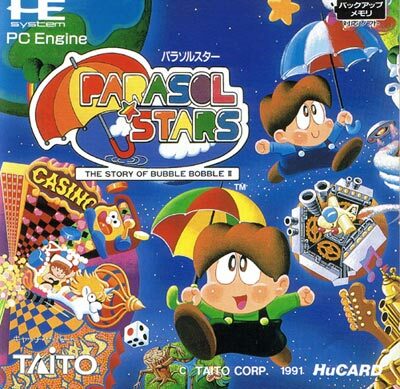 The three games (though sadly Bubble Bobble never got ported) were exactly within the PC Engines capabilities, so much so that they could have originated on the system. 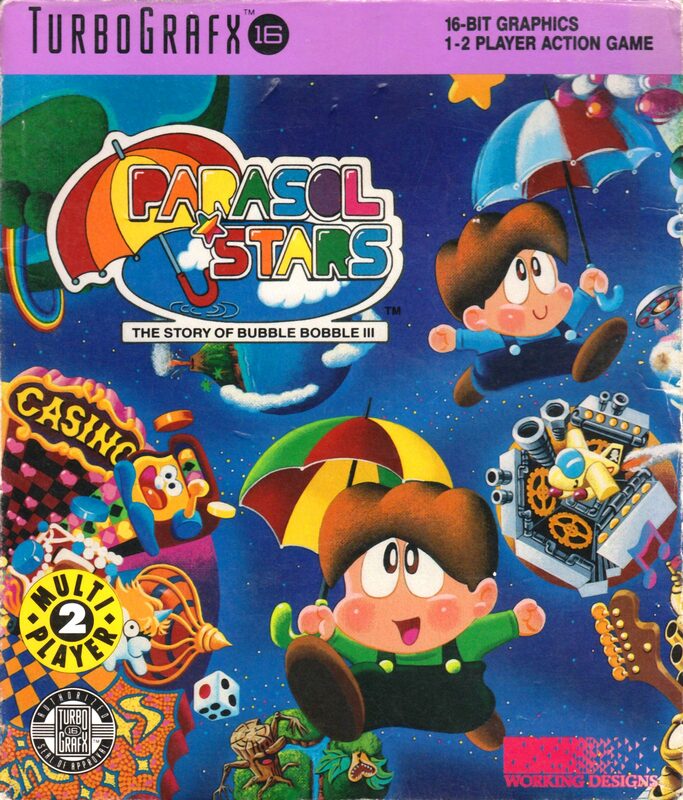 Though I think Parasol Stars is the weaker of the three games personally, it's an excellent game that will keep you coming back for more. Oh, about the game; you capture enemies by twirling an umbrella at them, then flinging them at their friends.